When it comes to tea, Sri Lanka has a reputation to protect. Even though the country is the fourth largest exporter of tea in the world, “Ceylon Tea” is some what the most expensive tea per kilo. That means that any negative press about its quality could affect those high prices. In February, news broke out that the Sri Lanka Tea Board had raided 80 factories. The regulators alleged that some factory owners were using sugar in the manufacturing process. Sugar artificially darkens the tea leaves, making them look higher grade than they actually are. Many factory owners were quick to deny that they had tampered with their tea. But Minister of Plantation Industries Navin Dissanayake, said he was confident that the practice was happening, or that at least, it was until very recently. “It is kind of an open secret in the country,” he added. 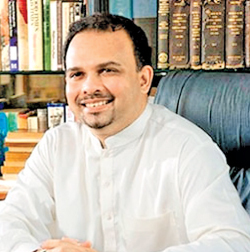 Minister Dissanayake said the Tea Board and Tea Research Institute were currently verifying a new test to detect sugar tampering, that could be used as evidence in Court disputes. According to Dissanayake, the practice had started about 15 years ago and reached its peak in last year. “While everybody was practicing it, the authorities turned a blind eye to it,” he said. “But we’re not going to do that anymore and we are going to act tough about it,” the Minister said. Yet, even as the government tried to get tough on sugar tampering, others say the issues with Sri Lanka’s tea industry actually had run much deeper. The battle to maintain high quality teas for export is an ongoing one. One of the checks on this process is the Analytics Lab at the Sri Lanka Tea Board, which is currently preparing to carry on with the sugar tests. Every week, 4,000 randomly selected samples are taken from the tea auction in Colombo, to the lab at the SLTB headquarters on Galle Road, according to the Director of the Analytical Services Dr. Nishantha Jayathilake. At the Tea Board, those samples are then tested first by the Tea Board’s tea tasters. If they flag the tea as suspicious, they send it to the labs. There, the sample could be tested against international standards, which are published by the International Organization for Standardization, such as bacteria, fibre content and pesticide presence. “All the testing we do is according to (these) international standards,” Dr. Jayathilake said. Making sure the tea meets different international standards is important to ensure, because different countries have different requirements for their tea. Japan, for example, only allows that 1 part per billion of the pesticide MCPA, be present in the teas it imports. A bad batch of tea could jeopardize millions of dollars in sales. Although most of the samples that come through the SLTB’s labs are collected internally, individual exporters could also bring their own product to be sampled to ensure quality. The SLTB also requires that all private sales done outside the Colombo tea auction, be tested before they are approved for export. It’s also in these labs that they could test for sugar added during the manufacturing process. Every tea, depending on its variety and elevation where it was grown, should have a baseline sugar content, Dr. Jayathilake explained. Tea Board Chairman Lucille Wijewardena, compared that sugar baseline to the base temperature of the human body. For example, a body’s normal internal temperature should be about 98.6 degrees Fahrenheit. “It’s like this with tea,” he said. The problem with the first raid of 80 factories, Wijewardena said, was that the regulators had not been properly established those baselines. That’s how the accused owners challenged the validity of the test. “When you do something for the first time, there could be little snags,” Wijewardena said. He said the Tea Research Institute was currently working on establishing individual baselines for different teas and also verifying the lab test used to determine the sugar content. “Anything over that baseline would be considered adulterated,” he said. Minister Dissanayake had warned that he would suspend the licenses of anyone caught, or even shut down the factories completely. Wijewardena said that all the media hype around sugar tampering had distracted from what he said was the real issue facing the tea industry. Even though he and Minister Dissanayake agree that the practice was probably at one point widespread, with the threat of testing, it’s gone down “to only a handful of factories,” he said. At the Colombo Tea Auction, where upwards of 97 percent of the tea grown in Sri Lanka is sold, brokers say that any sugar tampering hasn’t really been noticed by the consumers. “(The issue) has been overblown in the media,” said Shane Amarasekara, a broker of Forbes and Walker Tea Brokers. The larger problem, according to Tea Board Chairman Wijewardena, is that yields are declining due to owners not increasing their tea growth. Due to it, the area of tea-growing land is declining. The total extent of area under cultivation had fallen from almost 213 hectare in 2010, to 202 hectare in 2016, Plantation Ministry statistics show. A tea bush has a life cycle of about 30 years, Wijewardena said. After that, its yields begin to decline. So the situation at present is that there are less plants and older ones. In the past, Planters replaced small sections of their tea fields every year, he said. But now, “they’re under the impression that it was too costly and the return on investment was too long,” he said. A young tea bush must be allowed to grow for three years before it could be picked. The upshot of this is that production costs are rising, as tea companies are relying on older bushes that grow less high quality tea. That leads to more refuse in the manufacturing process. “If you manufacture 100 kilos of tea, 15 are taken off as refuse, while the rest cannot be sold at the auctions,” Wijewardena said. To compensate, owners are incentivised to cut corners – such as making the leaves look higher quality by adding sugar to the manufacturing process. Wijewardena said he believed that adding new bushes to the island’s tea fields would lead to less waste and lower production costs. The Tea Board has proposed a plan to require a small amount of the revenue from export sales be put into a fund that could be used by companies for financial assistance in replacing tea plants. Anyone from small holders to regional plantation companies, could use the funds to rent or purchase backhoes and holing machines to for replanting. The goal is to plant 1,000 hectare of tea a year for five years. “For the next five years, we are going to address that issue as the single most important issue,” Wijewardena said. In the short term, the Ministry hopes the threat of stings would keep factory owners from using sugar in the process. Plantation Industries Minister Dissanayake said that the future of the industry depended on it.